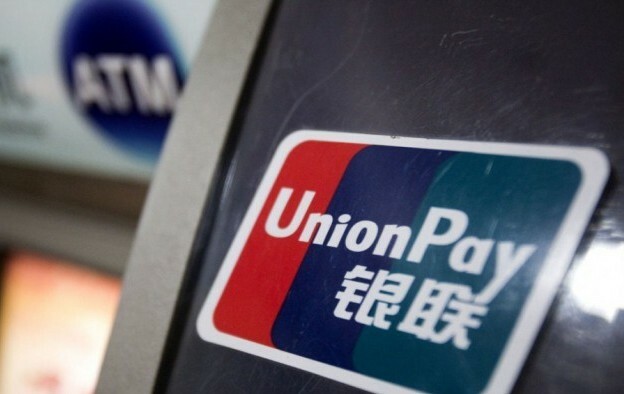 Holders of mainland China-issued UnionPay bank cards that wish to use them at Macau automated teller machines (ATMs) will soon have to present their identity card and pass a facial recognition scan to be able to withdraw cash. 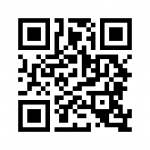 The news was announced on Monday by the Macau government in a press release. The new technology will cover “all ATM machines in Macau, including those inside casinos and neighbouring areas,” the document stated. The policy was announced hours before the expected arrival in Macau of the chairman of the Standing Committee of the National People’s Congress, Zhang Dejiang. Mr Zhang, the third-highest ranking member in the central government of the People’s Republic of China, is due to be in Macau from Monday to Wednesday. According to investment analyst Grant Govertsen from Union Gaming Securities Asia Ltd, the visit is likely put “a slight damper” on VIP gaming trends in Macau. High-roller play has been accelerating in Macau in year-on-year terms in recent months, say several analysts covering the gaming sector. Monday’s Macau government release said the new measure on UnionPay ATM machines was aimed at improving the “know your customer” protocols (KYC) of Macau’s financial system. Such protocols aim to strengthen bank and anti-money laundering regulations by ensuring businesses can properly identify and verify the identity of customers. The Macau government said the new ATM machines with face recognition and identity card-reading technology would be gradually introduced into the market. It did not provide a deadline for all current machines to be replaced by new ones. “The holders of UnionPay bank cards issued in mainland China that want to withdraw cash from ATM machines bearing the ‘KYC ATM’ logo will have to present their mainland China resident identity card and their identity will have to be verified via facial recognition performed by the ATM,” the Macau government release said. The document said only people using UnionPay bank cards issued in mainland China would have to undergo the identity recognition procedures. Users of all non-mainland China-issued UnionPay bank cards – or of non-mainland China-issued cards from other providers – would be exempt from such verification procedures. A Friday news report by Hong Kong-based newspaper the South China Morning Post, claimed – citing a source it did not name – that average aggregate monthly ATM withdrawals in Macau were approximately HKD10 billion (US$1.29 billion). Brokerage Sanford C. Bernstein Ltd said in a Monday note that “currently in Macau, numerous individuals (exact number is difficult to determine) utilise multiple ATM cards purchased/procured in [mainland] China that are tied to other individuals’ bank accounts.” It stated that the goal of such activity was to circumvent existing daily limits on withdrawals per bank card in Macau. According to the results of a proprietary survey of 1,900 mainland China residents by brokerage Sanford Bernstein, published in January, many casino customers – particularly at the premium end – rely on cash withdrawals from bank accounts held in Macau or Hong Kong, and transactions via UnionPay bank cards, to fund their gambling. When gambling respondents were asked about their preparations regarding cash to spend at casinos, bringing in cash and using UnionPay-enabled ATMs were the most frequently used methods, with, respectively, 49 percent and 46 percent of self-identified gambling trippers to Macau mentioning these methods. More than 20 percent of such trippers claimed to have access to either Hong Kong or Macau bank accounts, while pawnshops were utilised by nearly 20 percent of such respondents. Last year, shops in Macau began introducing China UnionPay bank card payment terminals that require holders of China-issued cards to submit an identity document for scanning before their purchase can be confirmed. A number of gaming industry analysts have previously noted that a purchase in Macau made via a UnionPay card – followed rapidly by a return of the goods in exchange for a cash refund – is one of the common ways for some casino gamblers from mainland China to circumvent the country’s strict currency-export controls. Mainland visitors are only allowed to take a daily limit of RMB20,000 (US$3,109) out of China in cash. Last December, the Monetary Authority of Macao had set a limit of MOP5,000 (US$626) or HKD5,000 per transaction for withdrawals in the city’s ATMs using bank cards issued by mainland China banks. The daily withdrawal limit with the use of such cards remained at CNY10,000 (US$1,447), or at an annual withdrawal limit of CNY100,000. Macau authorities are currently reviewing two 2006 laws dealing with, respectively, anti-money laundering and combatting the financing of terrorism. The proposed changes are due for a final reading in the city’s Legislative Assembly on Thursday – and likely to be approved, according to legislators involved in the process.